tales from the bus: transiting through majestic. 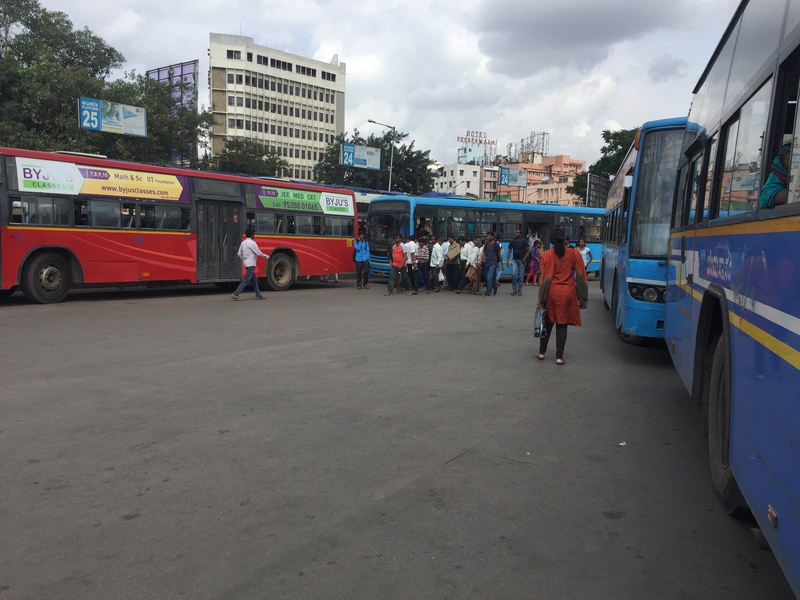 if you are traversing bangalore by bus, chances are pretty high that you will pass through majestic at least a few times. 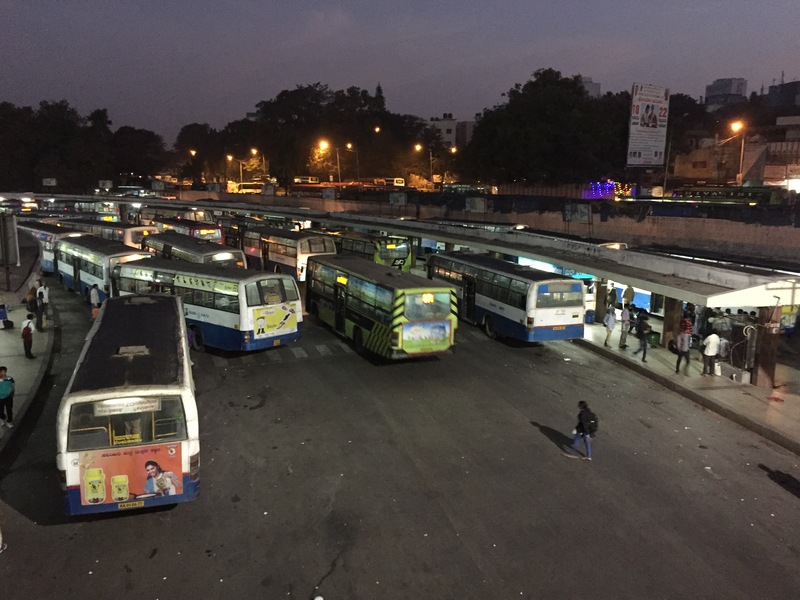 officially known as kempegowda bus station, majestic is the main bus hub in the city. 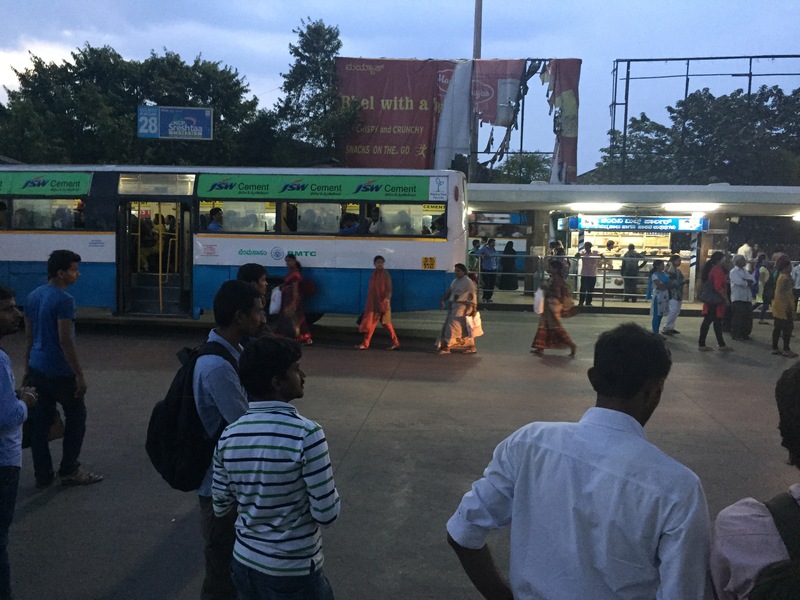 there is a city bus stand as well as a state bus stand, there are regular shuttles to the airport, the bangalore city railway station is across the street, and many of the private bus companies will begin journeys from the nearby anandrao circle or gandhinagar. 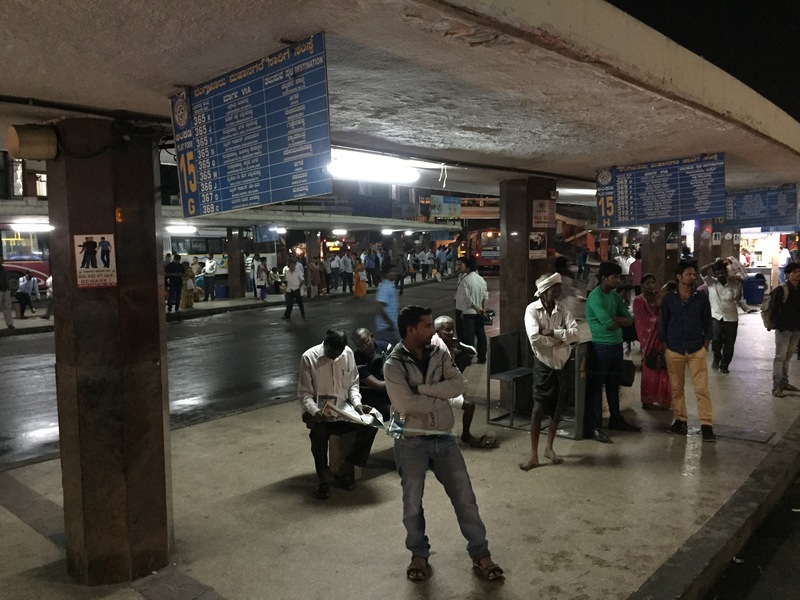 in addition, majestic will eventually be the changeover station for namma metro, the only point in the city where you will be able to switch from one metro line to the other. in other words, this is where most of the transportation action in the city takes place. during my previous lives in bangalore i travelled through majestic sparingly. 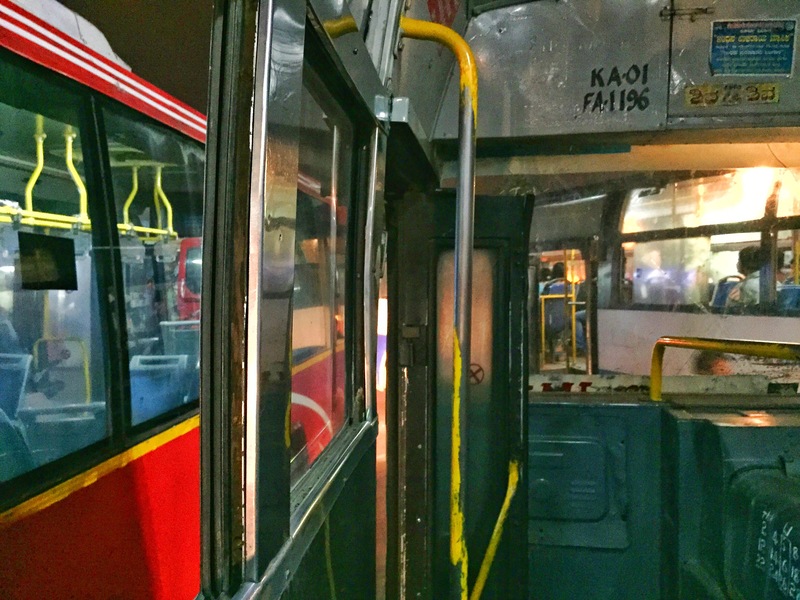 the city market was often more convenient based on my home and my work, and i would only head to majestic if i needed to book bus tickets to goa or if i needed to get to other parts of the city. but in recent months that has changed dramatically. rushing to get on the bus. bangalore, india. august 2015.
waiting and chatting. bangalore, india. august 2015.
i now transit through majestic on a near-daily basis. of the 14 after-school centers i visit, i switch buses at majestic to get to seven of them. i also travel through majestic to get to the school i visit on monday mornings. in other words, majestic and i are becoming well-acquainted with one another. traffic jam. bangalore, india. 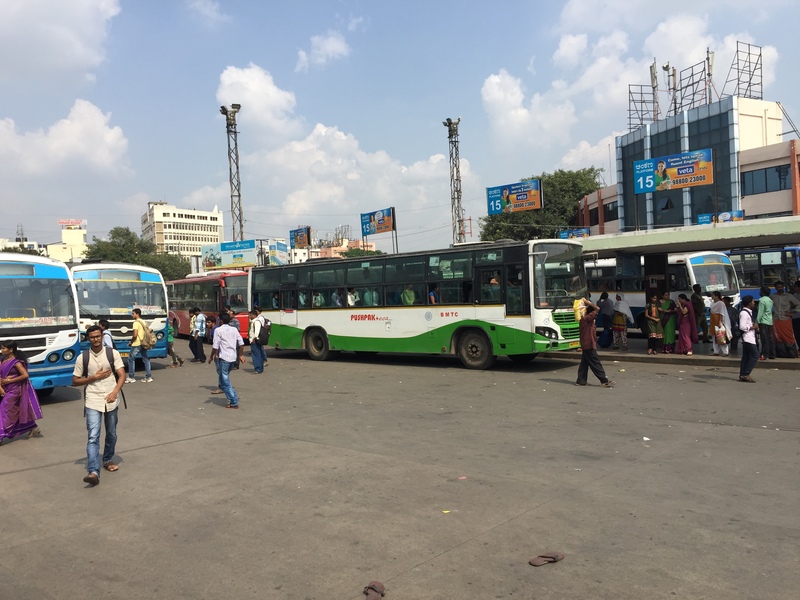 september 2015.
because of the sheer number of buses that pass through majestic on a daily basis – and the craziness of the bus drivers – it can appear rather intimidating if you are not sure where you are going when it fact it is really well organized. 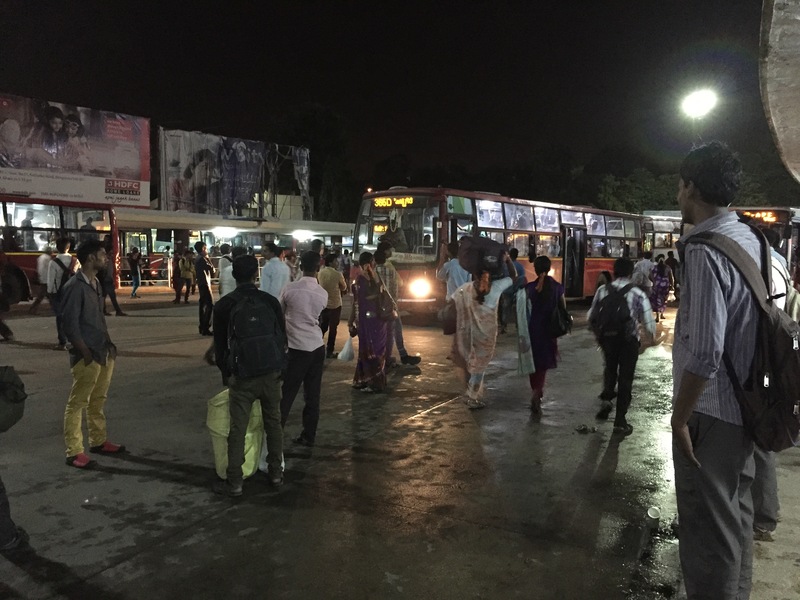 for years i only knew the platform for catching buses back to rajarajeshwari nagar, but i am slowly learning my way around the space. an unusually calm moment in the afternoon. bangalore, india. september 2015.
majestic at twilight. bangalore, india. september 2015.
i open google maps on my phone and plug in my final destination. this gives me the bus numbers from majestic onwards as well as the name of the bus stop where i will need to get down. next, i visit this fantastic website that lists all the bus numbers, their final stop, and their platform at majestic. this last bit of information is key, and the website has not yet steered me in the wrong direction. once i disembark at majestic, i make my way over to said platform and start looking for buses that are close to what i need. even if google maps told me i need bus 278k, i will ask a driver or conductor of a 276d if they are going to the stop i need to get to. often if the stop is on a main road, there might be other buses also stopping there. this usually works in my favour, or else i will be pointed in the right direction. if i ever get confused or can’t find the right bus or platform, i will ask one of the drivers or conductors for help. many of them know all the bus numbers and destinations, but even if they don’t they will know which platform i need to go. 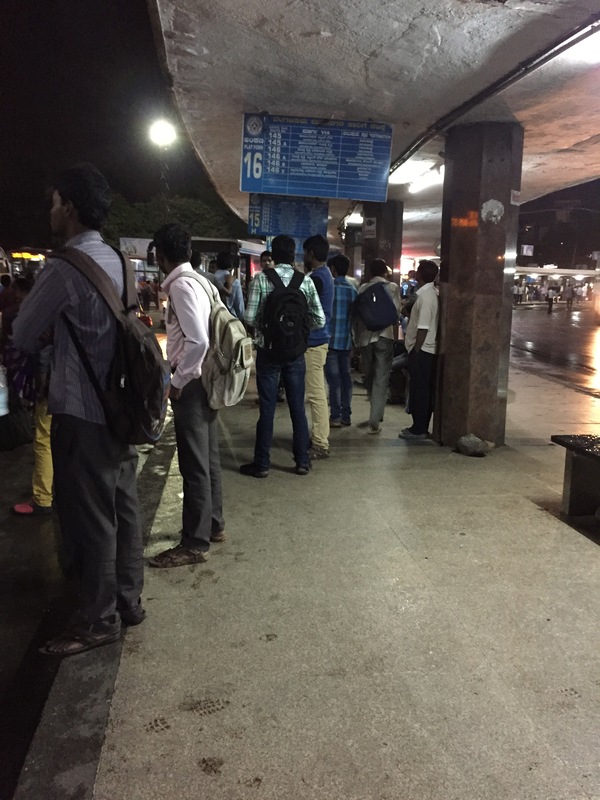 from there i ask another bmtc person for the specific bus i need. sunrise at majestic. bangalore, india. february 2015.
with all the travelling i have been doing in the last few months, i have a newfound appreciation for majestic and its organized chaos. aside from the few times i have almost been run over [it’s practically a rite of passage, really], most of my experiences have been positive. in many ways it is the part of bangalore i now know best. 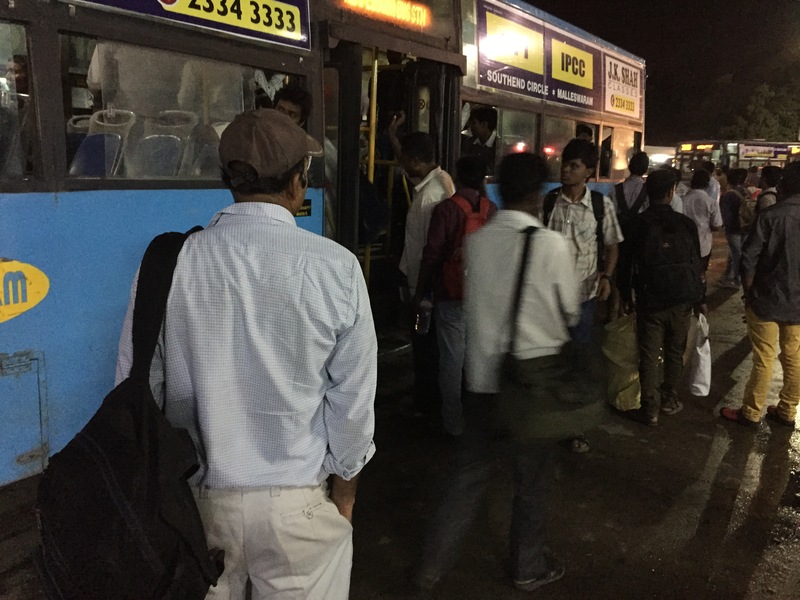 Interesting article, but in Bangalore alot of pickpockets are their. bangalore eats: dinner + drinks at the lost caravan.